I’ll be the first to admit that I will over analyze a situation ~~ any situation ~~ television, plain observation of things in front of me, and situations others share with me. My brain is just so wired to ‘read into’ and ‘weave through’ with my own interpretation and perspective on what I see. Not always a good trait. Sometimes this has gotten me in a heap of trouble. I’ll ‘think’ that I should be involved in a particular project ~~ when in actuality I really shouldn’t have anything to do with it. All good intentions of course, but sorely misdirected by my own doing. As this reminder above, it’s a call to recognize that God doesn’t always ‘assign’ us to a specific task or place ~~ but rather a wake up call to hear Him beckon us to Himself ~~ He desires us to come closer. It so much simpler than what we initially think. 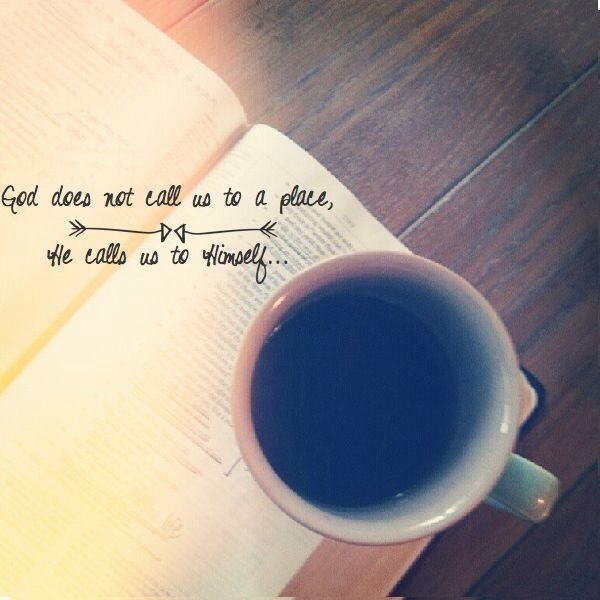 He calls us to Himself. It is my prayer that you’ll pursue your love Relationship with the One Who believes you’re worth dying for.